Topics: Weather Forecast, and Weather Maps. Ai Shared Web Hosting (England, Hertfordshire) is the location of the Apache/2 server. ns0.lcn.com, and ns1.lcn.com are its DNS Nameservers. 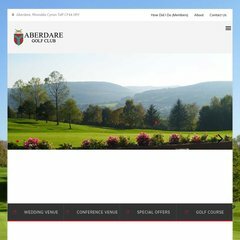 Aberdaregolfclub.co.uk's server IP number is 94.126.40.144. PING www. (94.126.40.144) 56(84) bytes of data.